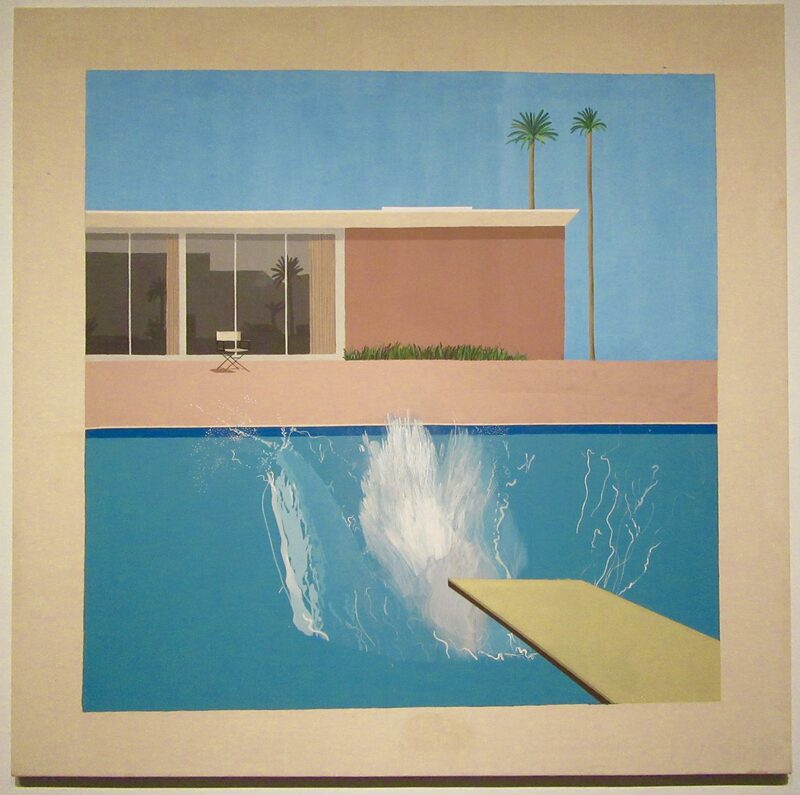 David Hockney’s most famous paintings of Los Angeles, such as A Bigger Splash (1967), depict a commonplace aspect of the city: private swimming pools. This is the final and the largest of three versions on the same theme, all based on an image that the artist found in a book about home pools. Hockney took care to keep the backdrop as flat — almost abstract — as possible, using rollers to apply the acrylic of the azure sky. The splash, in contrast, meticulously rendered with small brushes, took the artist nearly two weeks to finish. “I loved the idea of painting this thing which lasts for two seconds,” he said. “The painting took much longer to make than the splash existed for.” The result is one of the most iconic depictions of a certain upscale California lifestyle; aspirational, and perhaps more Hollywood make-believe than real. Photographed as Part of the David Hockney Career Retrospective, on view at The Metropolitan Museum of Art in NYC Through February 25th, 2018.